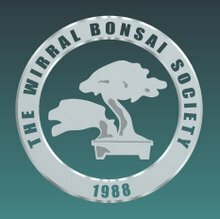 On the 10th April Mr.Tony Tickle and Mr.Terry Foster were schedule to present a Fine Wiring and Ramification session and yours truly was looking forward to meeting another Bonsai Artist Mr Terry Foster as he been spoken well of and highly rated at Wirral Bonsai Society. Andy thanked Tony for his Excellent presentation and I am sure everyone in the room learnt more than a few things and will be trying out a lots of what Tony said on their own Bonsai trees I know I will be. ..... including how to guess the weight! An enthralled audience looks on.